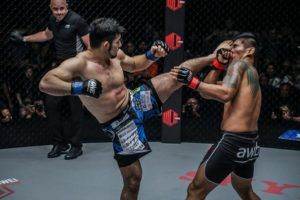 Ken Hasegawa didn’t need much time to think about a rematch against ONE middleweight world champion Aung La Nsang after falling to him last June. 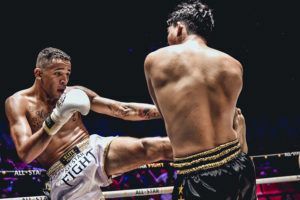 The near 25 minute war was hailed as one of the best fights of 2018 but a fifth round knockout ended Hasegawa’s night along with his dreams of becoming a champion on his promotional debut. 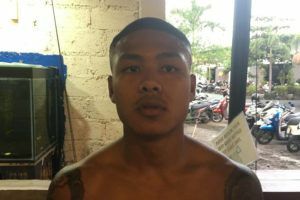 Less than 24 hours later, he was already contemplating what went wrong and how he could beat the Myanmar superstar in a rematch. 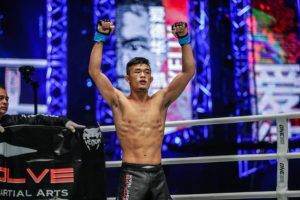 “I wanted a rematch with Aung La Nsang from the day after that fight,” Hasegawa told AsianMMA.com ahead of their upcoming fight at ONE: ‘A New Era’ on March 31st from Tokyo, Japan. 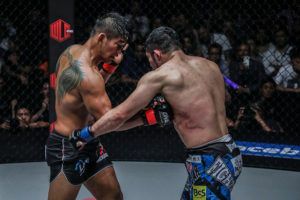 Looking back at that epic battle that left both men bruised, bloodied and scarred, Hasegawa is quick to point out his mistakes and the errors he made that ultimately allowed La Nsang to win that night. 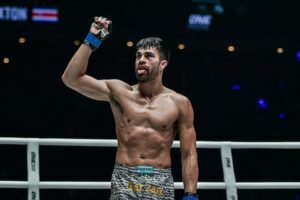 Never one to make excuses, Hasegawa knows he didn’t step into that fight at full strength but he still pushed the ONE middleweight champion to the brink until he just couldn’t survive the final round. “First of all, I think I insisted too much on a striking game,” Hasegawa said about his performance. 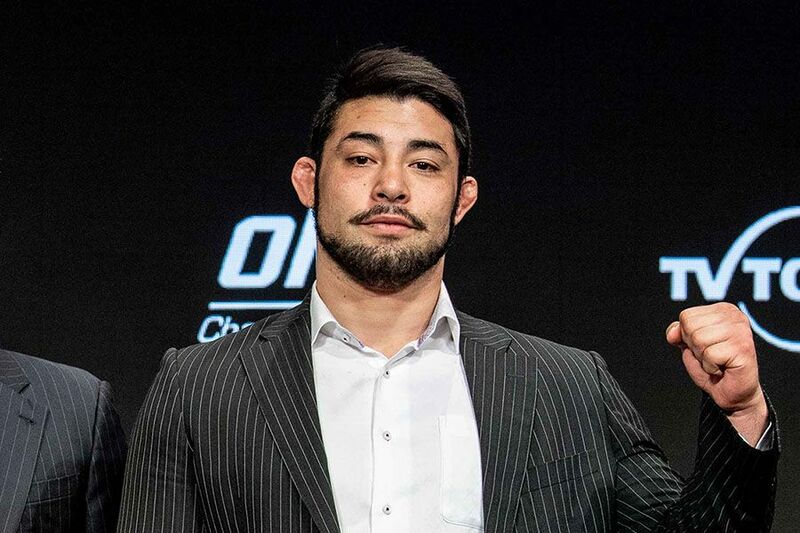 In the aftermath of that brutal war, Hasegawa said he was offered a couple of other opportunities to return to action from ONE Championship but he really wanted to allow his body time to heal rather than rushing back into the fray again. 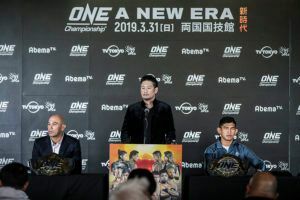 The decision paid off when ONE Championship put together a stacked card for the debut show in Japan and Hasegawa was offered his rematch against Aung La Nsang as one of four title bouts on the card. 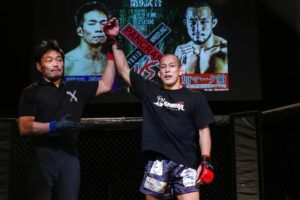 “I had [a] couple offers from ONE after that fight but I had to make sure I am fully recovered, and I wanted to make sure I can do, at least an eight-week camp for the fight so I passed on few offers, and ended up getting this rematch,” Hasegawa revealed. In preparation for the second shot at the ONE middleweight champion, Hasegawa made some major changes to his training camp. 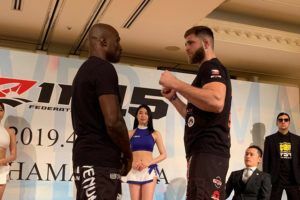 Instead of staying home in Japan, the 32-year old veteran opted to relocate to the United States where he began working full time with head coaches Ray Longo and Matt Serra. Those two coaches are responsible for several high profile UFC contenders and former champions such as Chris Weidman, Aljamain Sterling and Al Iaquinta. More recently, Longo and Serra started working with fellow Japanese standout Ulka Sasaki and it was through that relationship that Hasegawa was introduced to them. “I wanted to improve my MMA skills on all levels. And, in Japan, its not so easy for me find the training partner in my weight class,” Hasegawa explained. 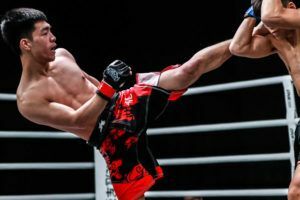 Hasegawa believes the results will show when he steps into the cage with Aung La Nsang on Sunday night in Japan. “I wish I can give you my game plan but obviously that is not possible. 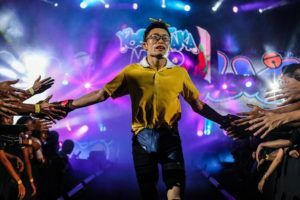 But I can tell you this: I had a great camp and I just feel like there is no way I am going to lose this time,” Hasegawa said. If Hasegawa is successful, he could be staring at a trilogy with Aung La Nsang considering they would be tied at one win a piece. Anything is possible but Hasegawa says nothing else matters until he wraps that ONE Championship title around his waist this weekend. “Well, let’s see what happens on this Sunday,” Hasegawa said.